Alice’s voice rings out as she arrives for her 9 a.m. shift. She’s learning Italian phrases—this one means “beautiful restaurant”—because she’s so excited to be working as the new support employee at Tutta Bella in Seattle’s South Lake Union neighborhood. Alice is the first Northwest Center client to be hired by Tutta Bella to work at one of their five neighborhood restaurants in and around Seattle. Her job is to prepare the restaurant before the lunch rush, ensuring that tables are set up, silverware is in place, and floors are clean. 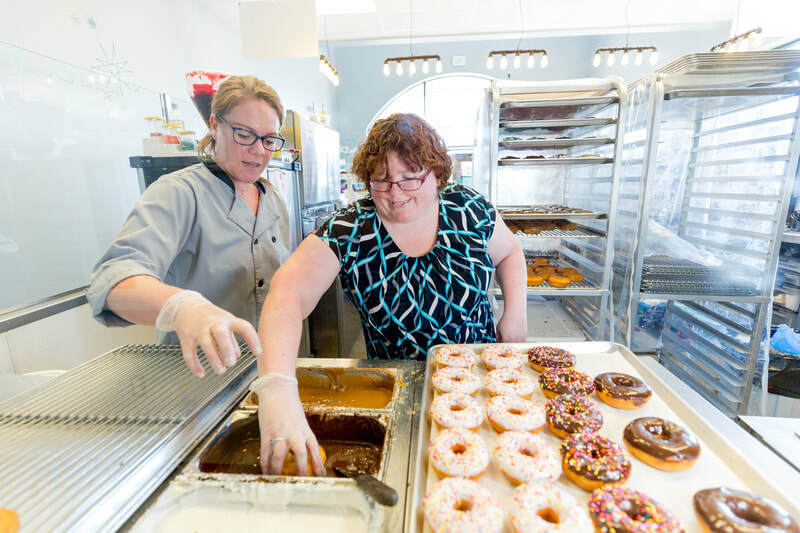 Though Alice is the first Northwest Center client to find employment at Tutta Bella, the restaurant has hired people with disabilities from the very beginning through their Supported Employees program. ​At just four months old, Noemie was having trouble getting enough nutrition. 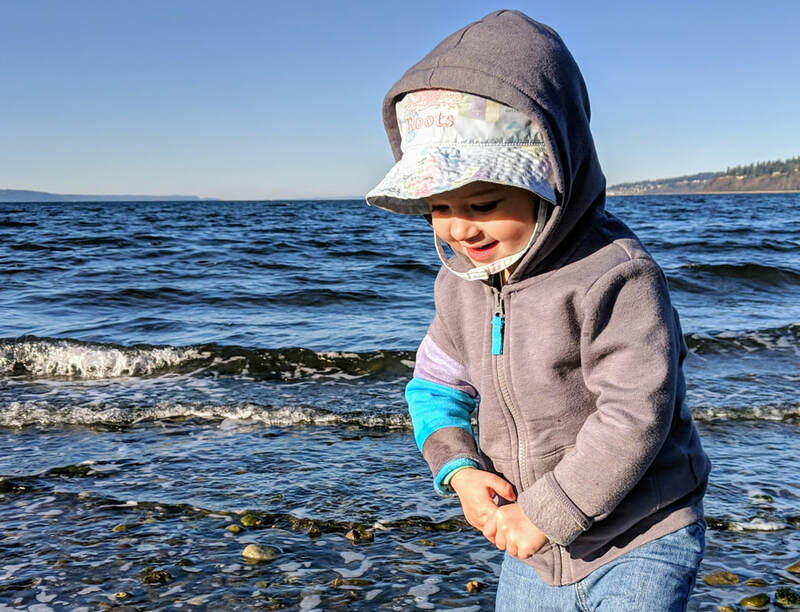 Her diagnosis was complex: tongue-tie (ankyloglossia), a condition that restricts the tongue's range of motion; acid reflux; food allergies; and sensory processing disorder. Noemie’s pediatrician referred her to a special clinic for children who have trouble getting enough nutrition. 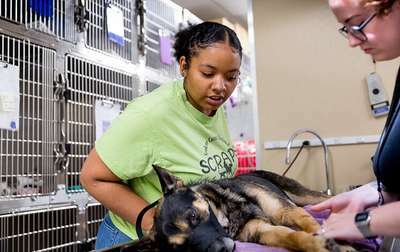 As the months passed, she saw other specialists in gastroenterology and nutrition, and began outpatient feeding therapy. And yet, Noemie made little progress. 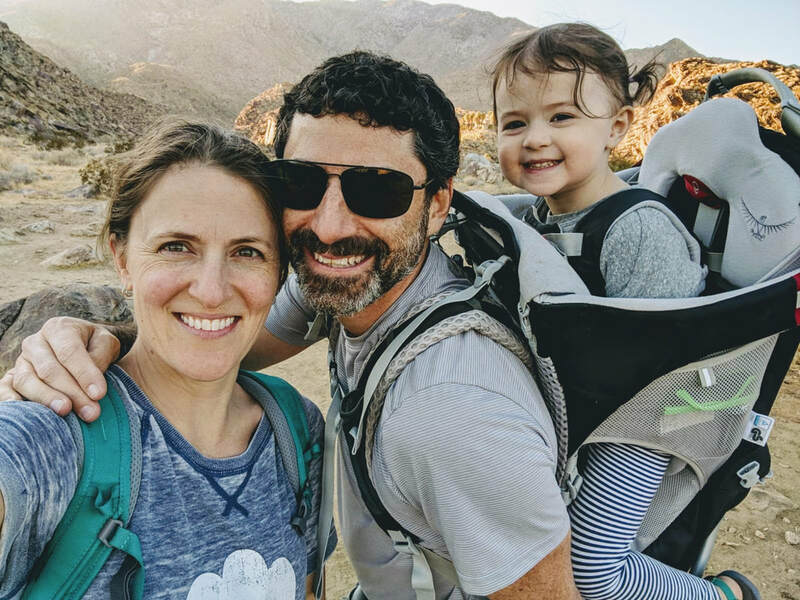 Finally, the pediatrician referred Noemie’s family to Northwest Center Early Intervention’s feeding therapy program, and they began working with occupational therapist Molly Nolan-Jones. The in-home visits were valuable, but after a few months, Nolan-Jones felt that Noemie’s diagnosis was not complete. "At that point, Molly told us what turned out to be some of the most important words: ‘I feel like something else is wrong; you need to take her back to the gastroenterologist,” says Noemie’s mom Nichole. Eosinophilic gastrointestinal disease (EGID) makes it painful and difficult to swallow and digest food. Because Noemie’s EGID diagnosis was delayed, she had developed a pediatric feeding disorder. So Nolan-Jones continued to work with the family. “I provided education about how to present food, how to engage in sensory play throughout her day, sensory approaches to food, and mealtime routines at their home,” says Nolan-Jones. When Noemie turned 2, Early Intervention transitioned her occupational therapy services from her home to the Early Learning classrooms at Northwest Center Kids at Greenwood. This past fall, Noemie officially transitioned to Early Learning as a student. Learn about EGID at Apfed (American Partnership for Eosinophilic Disorders). Visit Northwest Center Early Intervention to learn more about services for children from birth to age 3. Spring is finally upon us, and at Northwest Center we celebrate both the successes we’ve achieved and the potential successes soon to come. 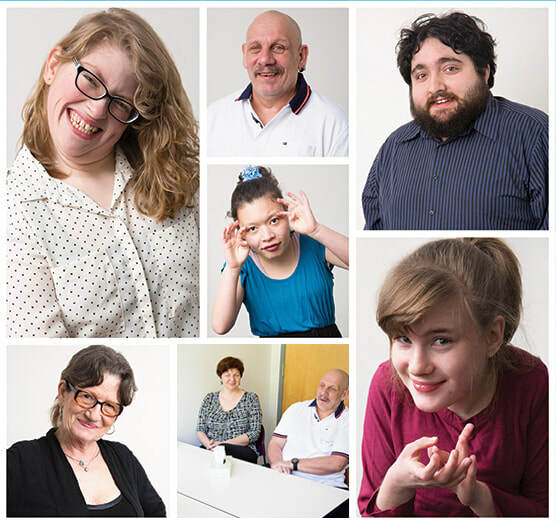 March is Developmental Disabilities Awareness Month, first designated with a proclamation to “increase public awareness of the needs and potential of Americans with developmental disabilities.” This month we’re sharing stories of children and adults reaching their full potential. Follow facebook.com/nwcenter, twitter.com/nwcenter, and instagram.com/northwestcenter, and look for the hashtag #DDAwareness19 to see many of the great successes of our clients. As you help us celebrate those successes, know that we also see the potential in children like Noemie. Working with our Early Intervention team, she’s gone from an infant struggling to get enough nutrition to a little girl who’s thriving in our Early Learning classrooms. 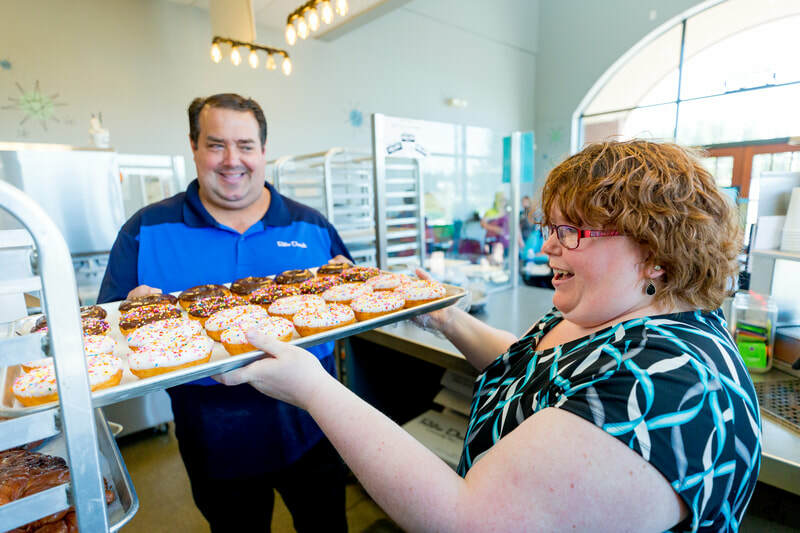 Down Syndrome Awareness Day, celebrated on March 21, is a reminder of the businesses we work with who see the potential for success by hiring people with disabilities. One standout employee is Barbie. 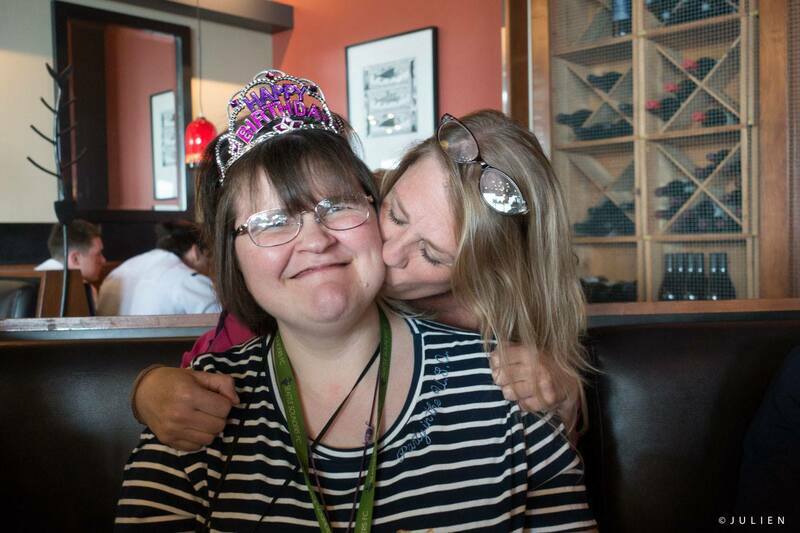 She is an accomplished knitter who worked with Employment Services to find the perfect career at Paradise Fibers in Spokane, and she just happens to have Down syndrome. YOU play a critical role our ability to continue our services for children and adults. Without your financial support, we can’t even begin to touch the tens of thousands of people waiting for services in Washington state. You can make a huge difference by attending The Derby, our annual spring fundraiser, on April 27. Register for The Derby now. We’ll also be part of GiveBIG again this year—mark your calendars for May 8, and look for more opportunities to maximize your gift to Northwest Center when you #GiveBIG. It’s getting close to post time! 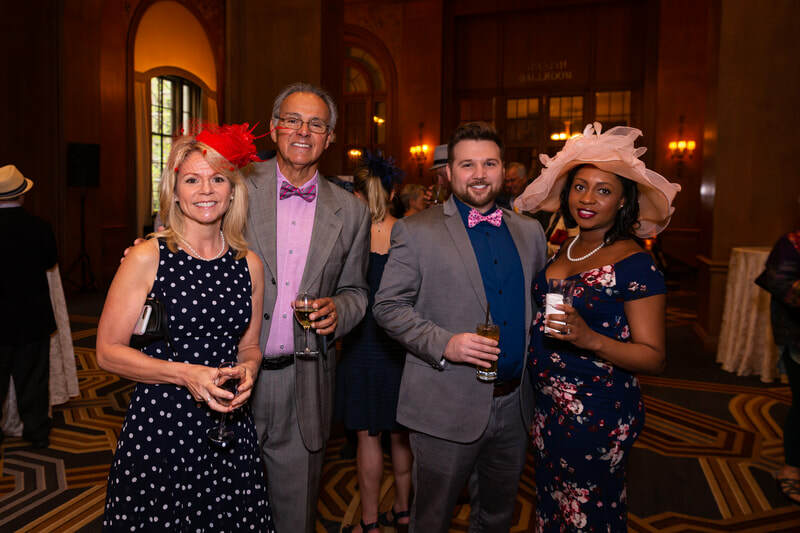 Join us on Saturday, April 27 for The Derby, a Kentucky Derby-themed live auction event that benefits Northwest Center. 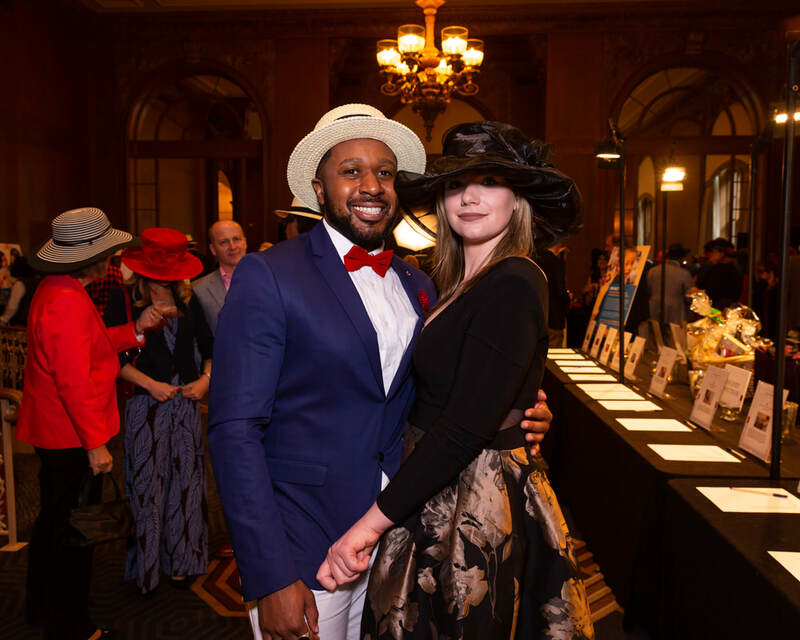 The 8th annual event will take place at the elegant King Street Ballroom with spectacular views of Seattle, 255 South King Street in Pioneer Square. The Derby benefits Northwest Center’s programs and services for people with disabilities. Like Elijah, who was turned away from multiple preschools that had no programs to work with children with developmental delays. Or Katelyn, who had a college degree but had trouble finding work because of her autism diagnosis. 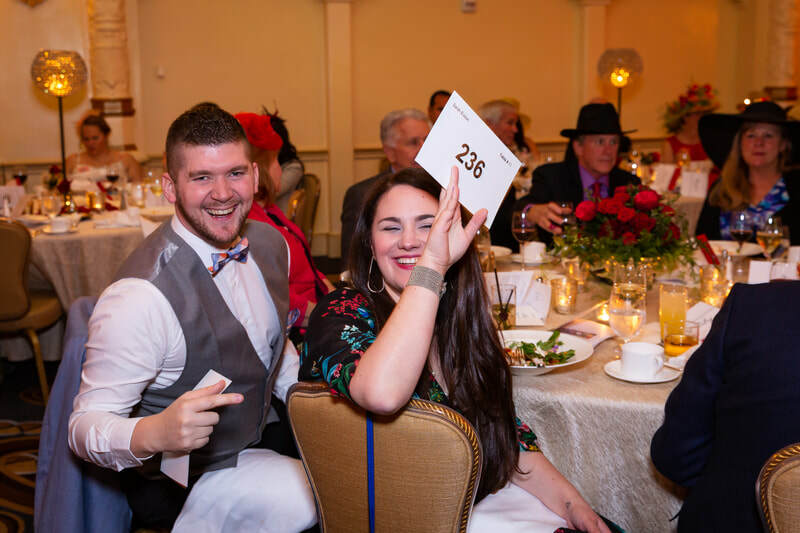 Your attendance at The Derby makes it possible for people with disabilities to find the resources and support they need from birth all the way through their careers. Of course, getting a crack at some fabulous auction items is half the fun of The Derby. 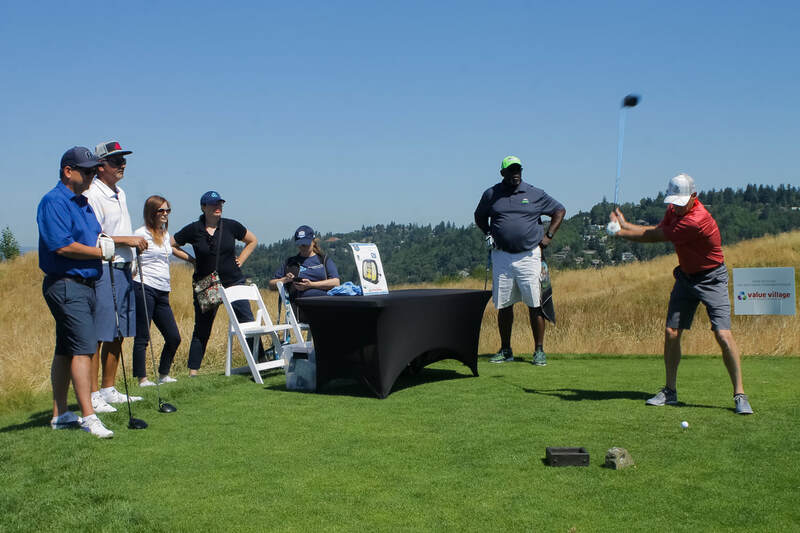 This year, we’ll be auctioning off the opportunity to be on the field assisting the Seattle Seahawks’s photographer during a home game; a seven-day stay right on Maui’s famed Wailea beach, and a vacation getaway to stunning faraway places. You can also take your chance on two stellar raffles to win a seven-day cruise on Holland America Line to the U.S., Mexico, Canada, or the Caribbean, or a $1,000 gift card to Seattle’s famed Canlis restaurant. Value Village™ is the premier sponsor for The Derby again this year. A vital partner of Northwest Center since 1967, not only does Value Village make significant contributions to Northwest Center’s programs, the company has an inclusive workforce that includes employees hired through Northwest Center. Join us on April 27! Purchase tickets now. 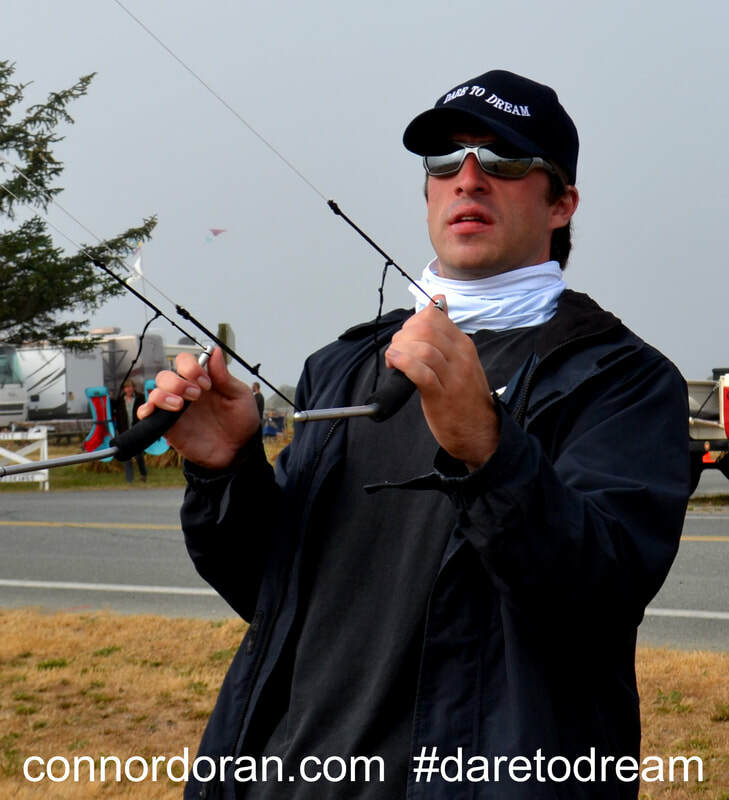 ​Why does Connor travel the world to fly kites? Because the Northwest Center client wants to raise awareness about epilepsy and anti-bullying. Connor, who has epilepsy, took his indoor kite-flying performance all the way to the 2010 semi-finals of America’s Got Talent (AGT), beating out 90,000 contestants and appearing in the “Live Wildcard Finals” top 12 in Los Angeles. Connor used his AGT appearance as an opportunity to tell his story on network television and share the benefits of kite flying. “When I’m flying my kites, I never think about having seizures. Nothing can touch me,” he says. Kite flying changed his life—and now he hopes it can help change others’, too. Connor travels the world with “Dare to Dream,” a program he co-founded with his mother Amy Doran, lead job coach at NWC. Together, they participate in kite flying festivals to raise epilepsy and anti-bullying awareness. They also team up with foundations to raise funds for Sudden Unexplained Death in Epilepsy Patients (SUDEP). 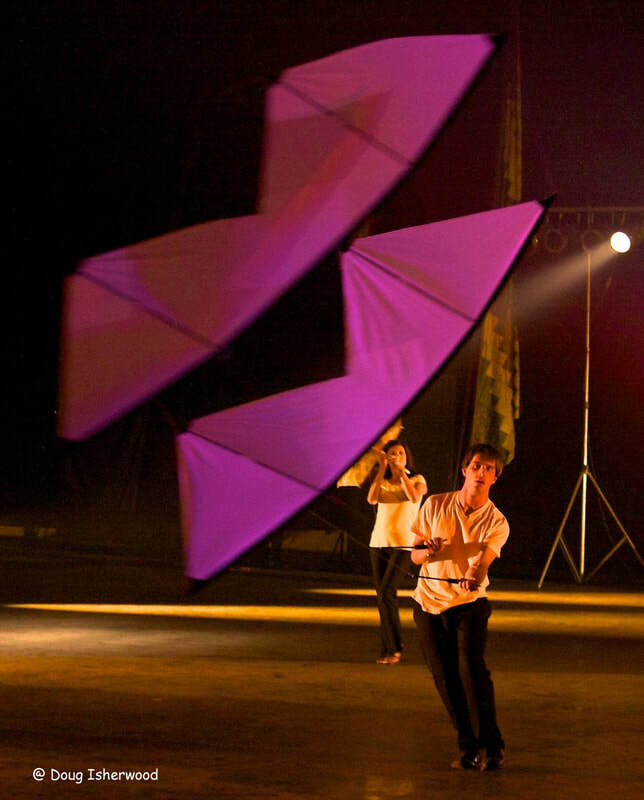 In April, Connor and Amy will travel to Cervia, Italy for the Artevento Festival, where professional kite flyers come together to share their handmade kites and compete in flying competitions. At home in the Pacific Northwest, Connor also spreads the word about workplace inclusion for people with disabilities—he found his own job through Employment Services at Northwest Center. ​Avni started out collecting and organizing hangers at Value Village, but thanks to Northwest Center job coaches and a supportive store team, he’s expanded his role. Learn more about our partnership with Value Village. Sandy, a Northwest Center client and women’s locker room attendant “towel folder extraordinaire,” has worked at SAC for more than 12 years. “She’s an ‘institution’ and is loved by everyone at the club—members too,” says Shafter. 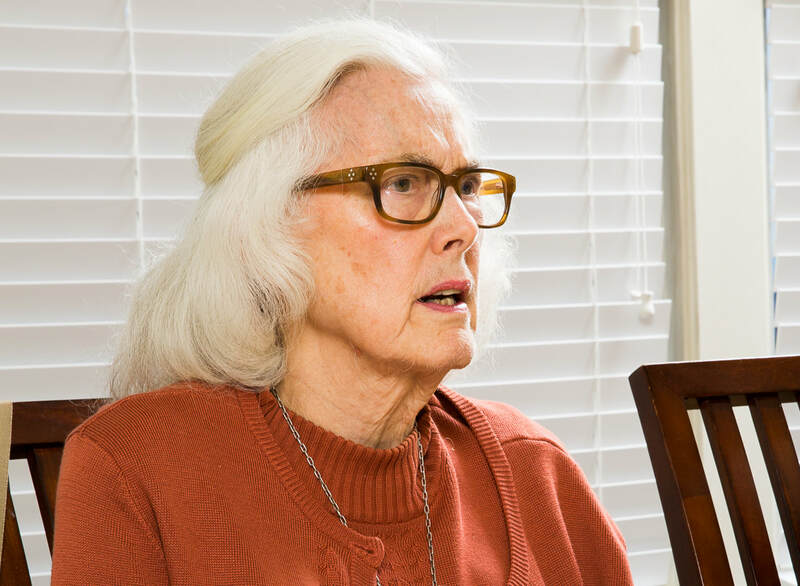 But last year, something happened that threatened to keep Sandy from the job she loves: a life-threatening stroke paralyzed her left side and affected her ability to talk and swallow. SAC employees were devastated by the news. Sandy was in the hospital for more than three weeks and then was transferred to a nursing home. A few months later, she desperately wanted to return to work at SAC, but was not yet fully recovered. “It looked like she would spend the rest of her life in the nursing home,” Shafter says. 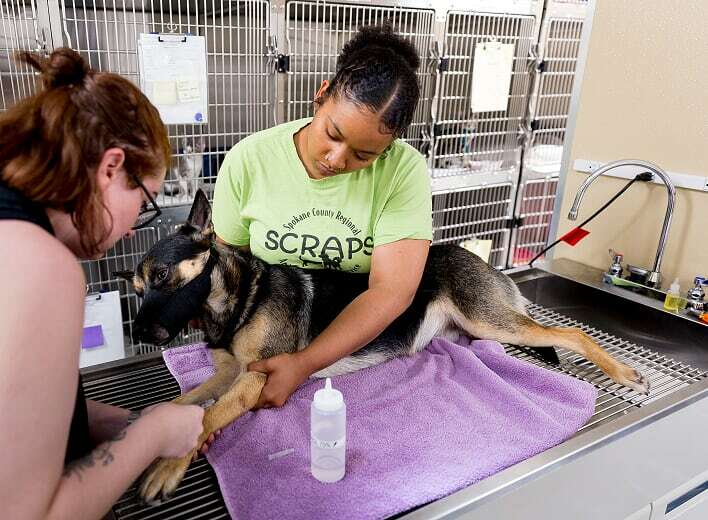 That’s when SAC employees decided to nurse Sandy back to health on their own. “Each employee would take turns to visit her and would bring her back to the club for therapy swims and workouts to build her strength up,” says Lisa Huisingh, housekeeping supervisor and childcare director at SAC. Due to the employees’ efforts, Sandy made progress and began walking again. “I don’t have Down syndrome; it’s a lifestyle,” Barbie exclaims as she sorts through hundreds of fibers and yarn at Paradise Fibers in Spokane. Not only does Barbie organize yarn in the store among many other duties she has at Paradise Fibers, but soon her own knitting work will be offered as part of the store’s Fiber of the Month Club, a subscription service that sends special yarns and other goodies each month to more than 500 members. Barbie will design the March 2019 box in honor of Down Syndrome Day, and she has requested that all proceeds from the blanket she knits will go to Northwest Center and the Down Syndrome Foundation of Spokane. It’s not the first time Barbie has used her knitting skill to help others. She was so moved by the movie “The Fisher King,” she decided she wanted to help the homeless. 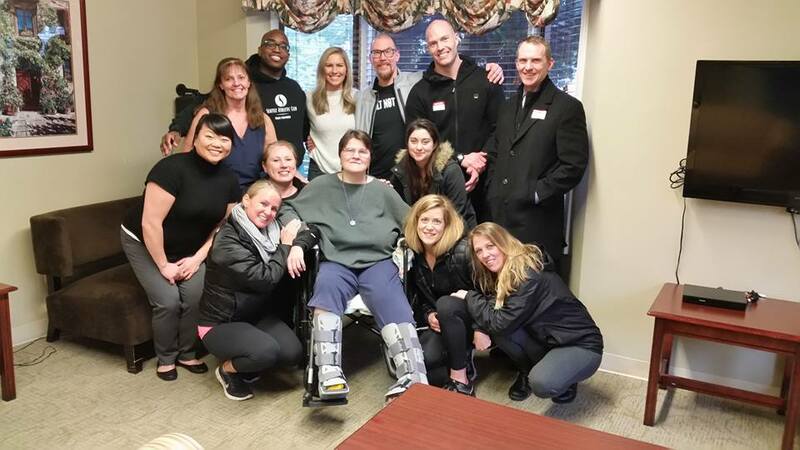 ​Emily’s coworkers surprised her on her 10th anniversary with a meeting with her idol Lauren Potter. ​Emily has been an integral part of the team at Northwest Center Kids for ten years, but she’s been part of the Northwest Center family for much longer than that. Emily, an aide at Northwest Center Kids at Chinook, attended the school as a child. In fact, a framed photo of Emily as a baby still hangs at one of our schools today. “Right out of high school, Emily started her career at Northwest Center,” says her mom Marilyn. “It was a godsend because it fit her perfectly and felt like home since she attended there as a child." When you give to The Big Blue Truck™, you’re not only keeping clothing and household goods out of landfills; you’re making employment possible for people of all abilities. See Dani in action in this short video—and thank you for making it possible for great employees like Dani to find jobs they love! Keynote speaker Lauren Potter and emcee Jordan Steele (center) spend time with Northwest Center staff and board members at the Golden Hearts Luncheon. Northwest Center President and CEO Gene Boes with Carl Bradley of the Carl Bradley Foundation, winner of the 2018 William O. Ellison Award. 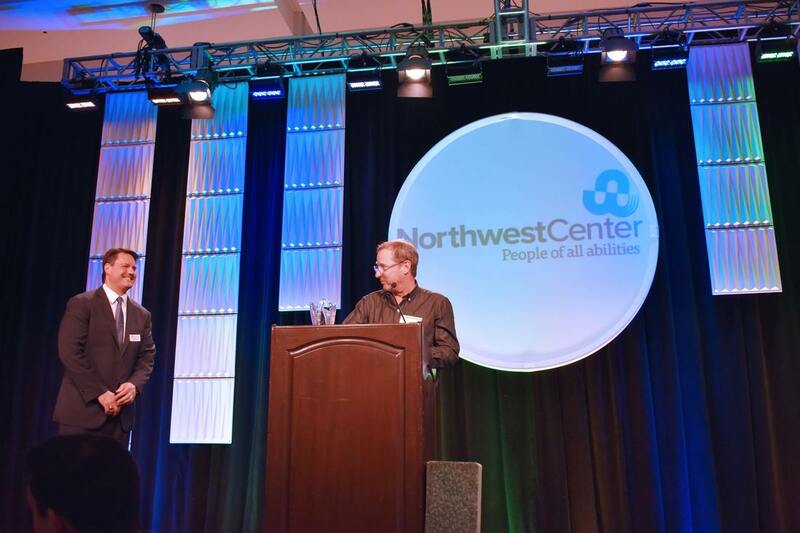 As 2018 is quickly comes to a close and we prepare to welcome 2019, I want to THANK YOU for supporting Northwest Center and for helping make our world a more inclusive one! 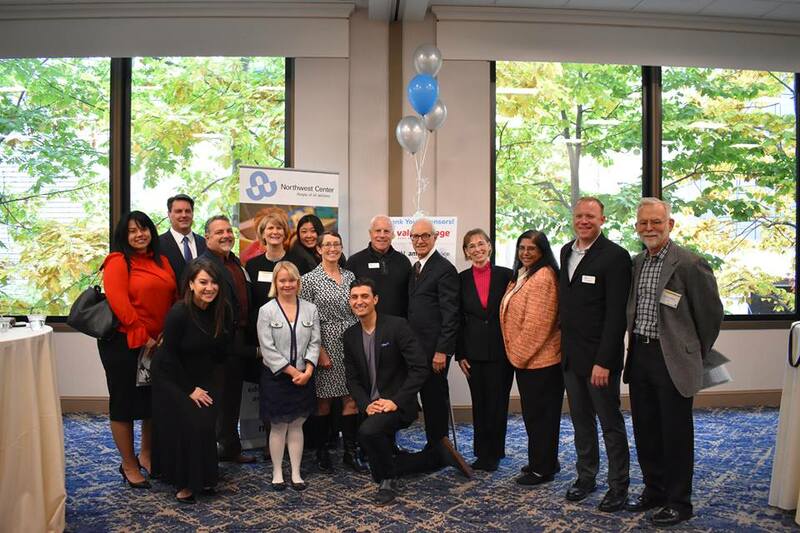 This past year, you’ve helped us launch our IMPACT™ (Inclusion Mentorship Program for increasing Access in Childcare Team) and EPIC (Expanding Play, Interaction and Communication) services for children on the Autism spectrum and paved the way for our Employment Services team to expand our employer ecosystem to over 1,000 organizations across the state. We’ve also deepened our partnerships with school districts and are successfully working our way “upstream” and reaching students sooner than their final year in school. Spread holiday cheer by joining with The Big Blue Truck™ and Northwest Center Kids to purchase clothes, toys and other gifts for families in need. We’re making the holidays brighter for many of our families this year by providing more than 400 gifts. Please visit our registry to make a purchase. “I’m not a hero and I’m not brave, I just got a chance to do what I love, and I did my best,” says Lauren Potter, best known as cheerleader Becky Jackson on the hit TV show Glee. Career success like Potter’s is what Northwest Center’s 2018 Golden Hearts Luncheon is all about. This year’s event will raise funds for Transition Services, so more students with disabilities can find rewarding employment. As keynote speaker, Potter will share how she achieved her career goals.